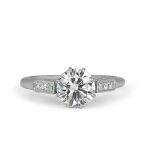 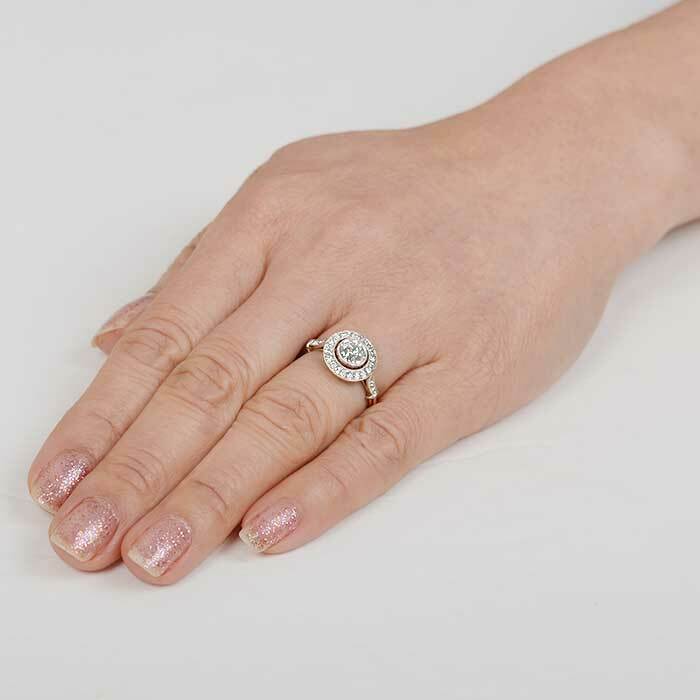 The Brighton Ring is a beautiful halo engagement ring, sporting a beautiful old mine cut diamond that is bezel set in a handcrafted platinum mounting. 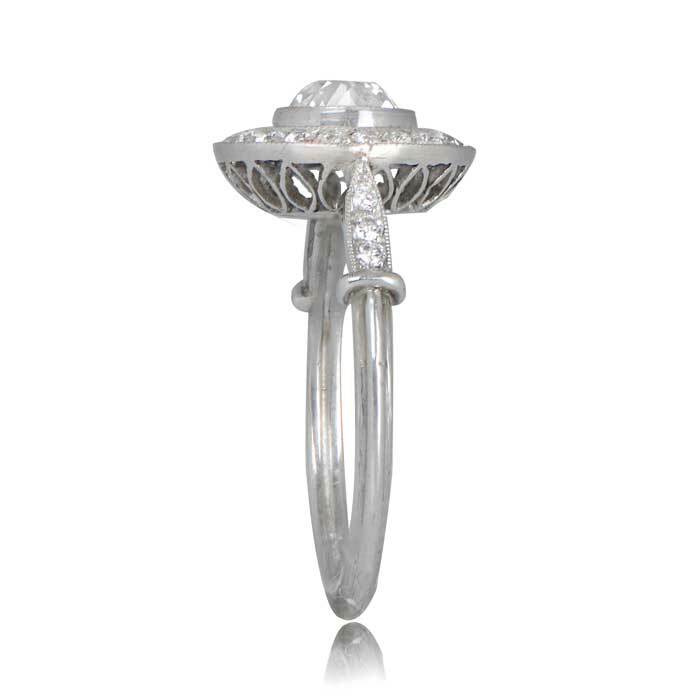 The triple wire shank and the diamonds along the shoulders adds to the delicacy of the ring. 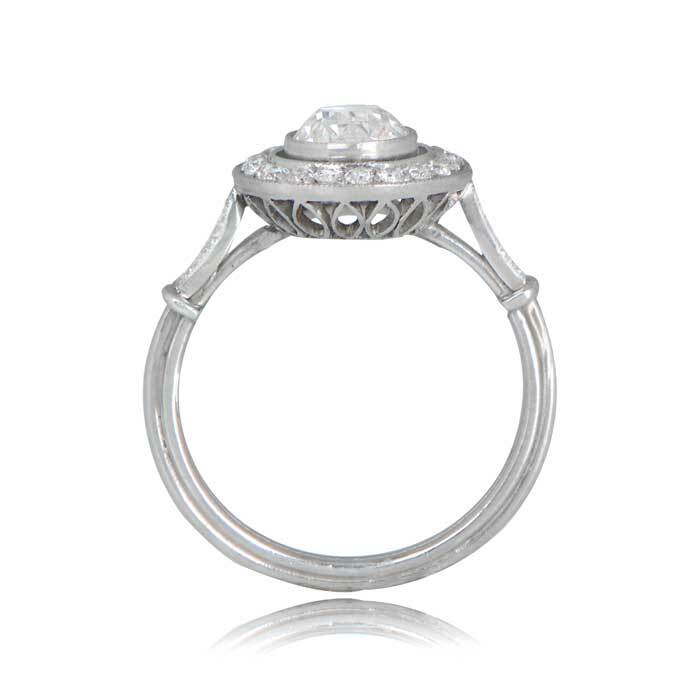 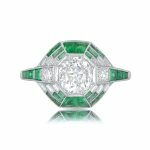 The center antique diamond was cut circa 1915 and weighs approximately 1.25 carats, J color and VS2 clarity. 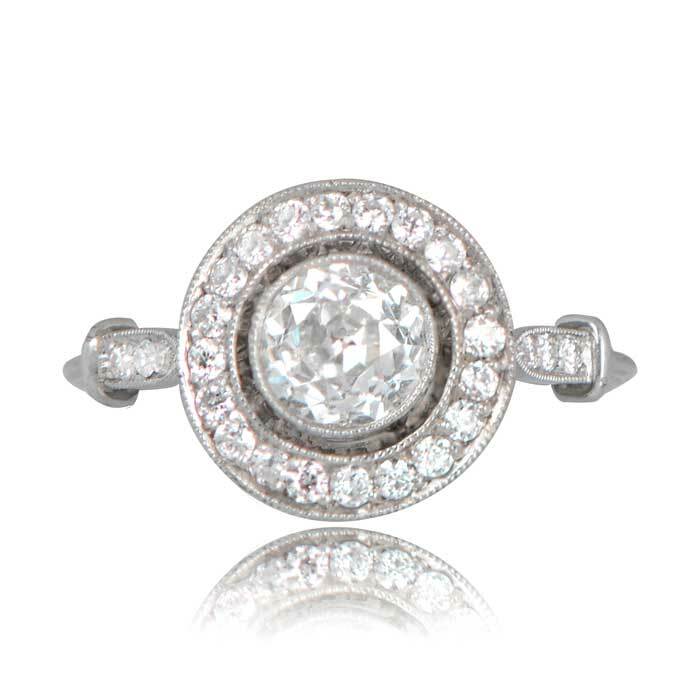 SKU: 11630 Category: Vintage Engagement Rings - Contact us and request additional pictures.